Structure files can be standardized using a standardizer file. This process applies the rules specified in the standardizer file and creates a new output file. 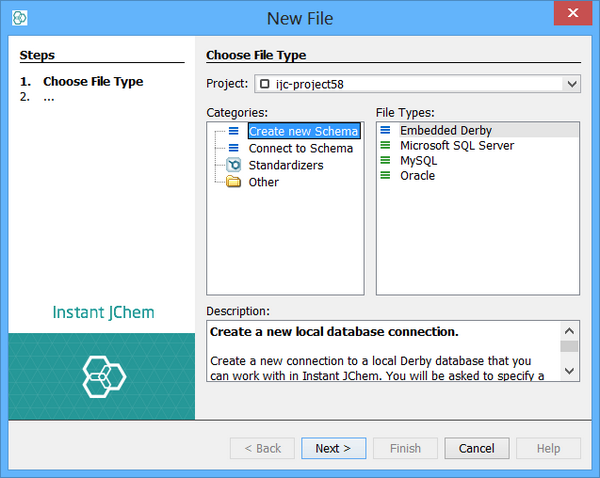 Add a new standardizer configuration file to your project by choosing File -> New File... from the main menu. 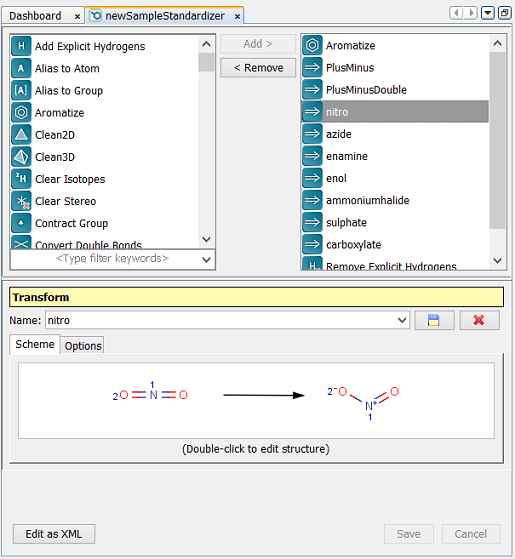 The new File wizard will open and on the first step select the section for standardizers. Choose the most appropriate standardizer template for your needs and click on the Next button. In the next step specify a name for your new standardizer and then click Finish. A new standardizer will be created from the template and added to the your current project, and it will be opened in the main editor window. The editor can be re-opened at any later stage by double clicking on the node in the projects window. Open the standardizer editor as described above. On the left hand side you will see a list of available standardizer actions and on the right hand side the list that are currently defined. Add and remove actions from the current list using the Add or Remove buttons. Select an action from the current list and its properties will be shown and editied in the area at the bottom. Click on the Save button to save your changes, or the Cancel button to discard them. There is also an Edit as XML button that lets you view or edit the configuration in its native XML format. Select the input file, output format and output location. Click OK. The input file is processed with the standardizer to generate the output file. 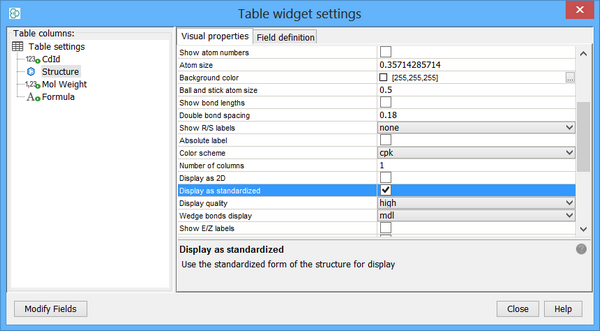 For proper displaying of standardised structures check "Display as standardised" in Customize Widget Settings. Properties in the input file are copied to the output file, as long as a file format that supports properties is selected.